What is a sewing or creative afternoon without cake? 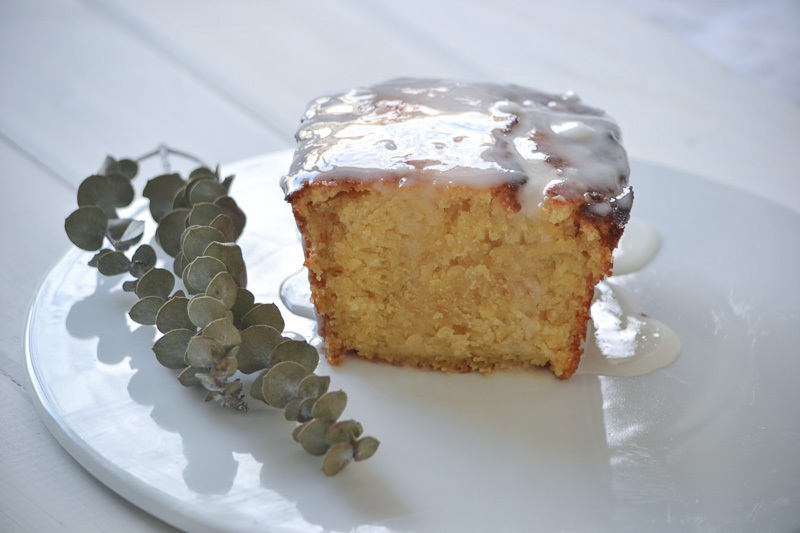 Here a super delicious recipe for lemon cake. And this is how it's done: Preheat oven to 190C (374F). Whisk soft butter and sugar until creamy. Add lemon juice, lemon zest and eggs. Mix. In a seperate bowl mix dry ingredients. Add dry ingredients to wet mixture and stir until just combined. Line a cake tin, add mixture to tin and bake in the middle of the oven for approx. 50 minutes. Check if the cake is cooked by inserting a skewer in the middle of the cake. If it comes out clean the cake is done. If not, cover the cake with aluminium foil (to prevent burning), turn oven down to 150C and bake for a further 15 minutes. Let cake cool completely. Mix lemon juice with icing sugar. Once cake has cooled down spread icing sugar on top.